There is a common misconception that conveyancing is ‘easy’ and that you should be able to get your house purchase done ‘on the cheap’ by anyone claiming to be competent in this field. In this post, we will try to bust a few of those myths and at the same time, explain a few of those confusing terms which you will hear used often in connection with your house purchase. To many, the term ‘conveyancing’ itself is a confusing one. After all what exactly does it mean? Put simply, it is the process by which we, as your conveyancing lawyer, help you ‘convey’ or transfer ownership of a property from the existing owner (the vendor) to you (the purchaser) as the new owner. At the same time, in the vast majority of cases, we will also be instructed to act for your bank to register a new security in favour of the bank for loans advanced to assist you with the purchase. This again is an area where many folk find the terminology used by lawyers confusing. When someone pays off their loan to a bank they will often be heard to declare that they ‘don’t have a mortgage’, when in fact, a distinction needs to be made between having a loan from a bank and having a mortgage in place over the title to the property you own as security for that loan. You see, when you finish paying off your loan(s) to the bank and you no longer owe any money to the bank, you have in fact cleared or paid off your loan, but the security for that loan is a different issue altogether. 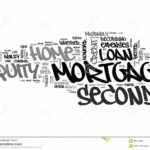 The mortgage you hear referred to is the security registered by your conveyancing lawyer to give your bank security for the money it has advanced to you by way of loan. In order for the ‘mortgage’ to be removed once you have repaid the loan in full, it is necessary for someone to write to your bank requesting that the mortgage security be released. Once you have paid off the loan and discharged or removed the mortgage from the title, you can truly be said to be ‘mortgage free’. In some cases, even though your loan has been repaid, it is still a good idea to leave the mortgage security in place on the title. If, for example, you were contemplating buying an investment property or upgrading the kitchen or the bathroom in your home, you might want to borrow funds from the bank to help with this. 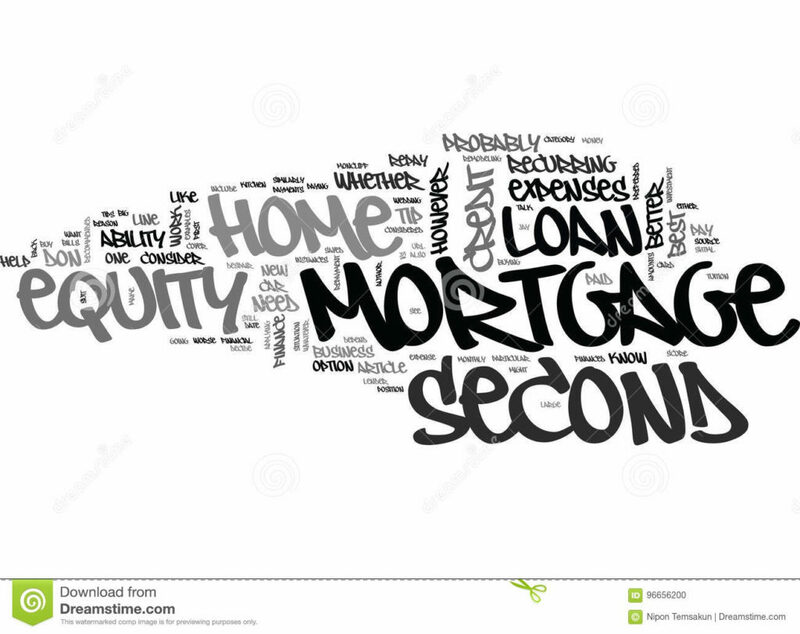 Having the mortgage still in place over the title saves you the time and money of registering new security for the further advances, whatever the purpose of those advances might be. The phrase ‘equity’ is another term which often confuses some people. The equity you have in the property is calculated by taking it’s current market value of your home and deducting any loans you owe to your bank. The net figure you arrive at will represent the equity which you have in your home. This can become particularly important if you wish to buy an investment property as a part of your retirement plan. In many cases, rather than having cash savings to put toward the deposit, you might borrow against the equity you have in the family home. The purchase price is often therefore 100% borrowed, partly against your ‘equity’ in the family home and then partly against the security of the investment property itself. If you want conveyancing done well, and everything explained in Plain English by an experienced practitioner with 30 years’ experience offering guaranteed fees at competitive rates you don’t need to look any further. Just enter your details on our contact page and we will get back to you, usually within 24 hours at the latest. If you are thinking of buying at auction then there are a few basic things which you need to be aware of. For starters, if you are a first homebuyer looking to avail yourself of funding from either or both of the Home Start grant or your KiwiSaver first home withdrawal then buying at auction is not ideal for you. Why not? Well for starters, you cannot begin the process of formally having your withdrawal approved until you have a contract in place. There is always going to be some risk involved in that as a purchase at auction must generally be unconditional. In other words, there are no conditions inserted for your benefit as there generally are when you buy land through a process other than auction. The sort of conditions we refer to are those relating to you arranging suitable finance, approval of a Land Information Memorandum, insurance, building inspection and so on. Non satisfaction of any of those conditions for genuine reasons will give you an ‘out’ and a way to cancel the purchase that you do not generally have when buying at auction. Secondly, a purchase at auction generally requires a 10% deposit at the fall of the hammer or in other words, as soon as you are confirmed as the successful buyer. Now you can of course enter into an aside agreement with the vendor agreeing to a smaller deposit or a delayed payment of the deposit.That might, of course, make any offer from you look less appealing if there are other offers to be considered. For reasons stated above, you cannot use your KiwiSaver money for immediate payment of a deposit at auction because you cannot even commence the process of withdrawing your savings until you have a contract in place. A further issue with KiwiSaver funds is that the provider (the fund manager you have your KiwiSaver with) require your lawyer to obtain an undertaking that KiwiSaver funds be paid, not to the agent, but to the trust account of the solicitor for the vendor and, that we obtain an undertaking from the vendor’s solicitor to hold those funds until settlement and, should settlement not proceed due to the default of the vendor, that they will refund your KiwiSaver funds to us in full so that we, as your lawyers, can pay it back to your provider. This is not necessarily ideal as for starters, the agent usually collects the deposit and once a statutory time frame has been observed, is entitled to deduct their commission from it. The balance of the deposit after commission is then paid to the vendor, who might be needing the same for the deposit on their next purchase. So, whilst it isn’t impossible by any means to buy your first homeat auction there are a few hurdles to get out of the way if some or all of yourdeposit is coming from KiwiSaver or Home Start funding. For that reason, it is really important that you engage the services of a specialist conveyancing lawyer to assist you with your purchase. If you miss out on buying at auction you need also be aware that you are likely going to get a bill for anywhere between $300-500 plus GST for the solicitor’s time in appraising and advising you on the auction pack. That is, unless you click on our contact page and take us up on our offer of a FREE review of any auction pack for you. We will provide you with a written overviewof the auction pack and our pledge to you is that if you are unsuccessful, wewon’t send you a bill. Just put your details on the contact page of this websiteand Brent will get back to you within a very short time to arrange the reviewof the auction pack for you. So you bought a house and the vendor didn’t leave it clean and tidy. It’s a story we hear all too often. A vendor doesn’t bother to clean the house properly and sometimes, not at all. Surely there’s a legal obligation to leave a home neat and tidy and to give it a proper clean. Right? Sadly, no there is no legal obligation contained in the widely used Auckland District Law Society form for the sale and purchase of property to leave a house clean and tidy. Most reasonable vendors will leave a home in a clean and tidy condition for the new owners. But if they do not do a proper job, or just don’t clean the house at all, legally, you don’t have a leg to stand on once settlement has occurred. Sometimes a purchaser will tell us prior to settlement that there is rubbish on the section, sometimes even car bodies or parts. If you buy a home where there is extensive rubbish on the land or in the home and you want it removed prior to settlement, have your agent make this a condition of the contract. Likewise, if you would like the house left clean and tidy before you take over, have the agent write in the agreement that it is an essential term of the agreement that the vendor leave the home in clean and tidy condition. That way, it becomes a contractual obligation, which can be enforced. 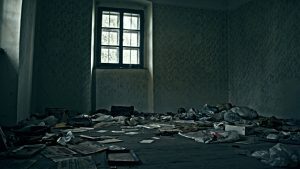 If the vendor fails to leave the home clean and tidy prior to settlement or fails to remove that rubbish from around the section, we can require retention until it is done, or sometimes a deduction to allow you to get it done. If you want quality legal advice from a specialist Christchurch conveyancing lawyer give me a call or go to our contact page and drop me a line and we will get back to you within 24 hours. We have 27 years’ experience helping clients with the conveyance of their new home purchase. Selling property at auction has become almost the norm these days. From a vendor point of view it is often a clever ploy because if there is anything at all dodgy about a property it forces the buyer to do their due diligence and maybe ‘take a punt’ on that unpermitted old conservatory or load bearing wall removed without consent! If buying through the usual conditional contract structure a buyer is more likely to require a vendor to deal with such issues by obtaining a ‘certificate of acceptance’ from the relevant council or for older structures, having a report from a qualified professional added to the LIM file. From a purchaser’s perspective however, it can be an expensive exercise if you do a full due diligence exercise on a property at your own expense. Vendors via their agent will traditionally provide a Land Information Memorandum (LIM) and sometimes, but not always, a building inspection report. For Canterbury properties it is also now common for all relevant EQC and Insurance related information pertaining to the earthquakes to be provided too. Of course, for a purchaser all of this means having a lawyer look through the auction pack and advise if there are any obvious issues with the information provided. It often adds up to in excess of 100 pages of information to be digested and reported on. It might also mean a purchaser obtaining a building inspection report at their own cost too if one is not provided and you feel it sensible to obtain one or your lender requires one. As a purchaser it is also necessary to have your finance 100% sorted and, having insurance in place from the fall of the hammer if successful. For obvious reasons, if buying in Canterbury, having insurance in place is absolutely vital! On occasion you may even need a valuation for your lender. For first home buyers there is also the need to make sure you have Kiwi-saver preapproval and Homestart too if hoping to use those sources of funding. We won’t sugar coat it, if your conveyancing lawyer does the due diligence on the information provided properly and does not just give it a cursory glance, there is a bit involved. But if you are unsuccessful at auction two, maybe even three times and you get a bill from your lawyer for say $400 plus GST every time, it can get expensive very quickly. Add to that the possible cost of a building inspection report and valuation and you could be considerably out of pocket after a failed bid at auction. so one of the services we offer for those looking at a property conveyance at auction is to review the particulars and conditions and all associated information and provide a written report, at no cost to our client. When you add that to the fact that when you are successful at auction our price for your conveyance is guaranteed once advised to you, and we have a lot of happy auction buyers. In our experience, the vast majority of people for whom we perform this service remember us and come back to us for their conveyancing when eventually successful, whether at auction or otherwise.